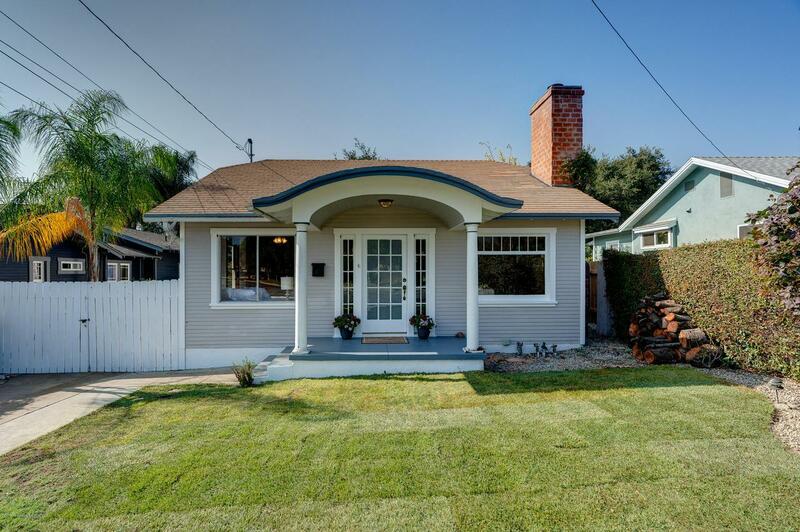 This charming 1920's bungalow is located in an ideal north Monrovia neighborhood. Passing the covered front porch and through the multi-paned front door one enters the beautiful living room showcasing a brick fireplace, beautiful wood built-in shelves and hardwood floors. The kitchen with corian countertops, freshly painted cabinets and a breakfast nook connects to a room currently used as a formal dining room, but could also easily be used as a family room depending upon what is most needed for the next owner. 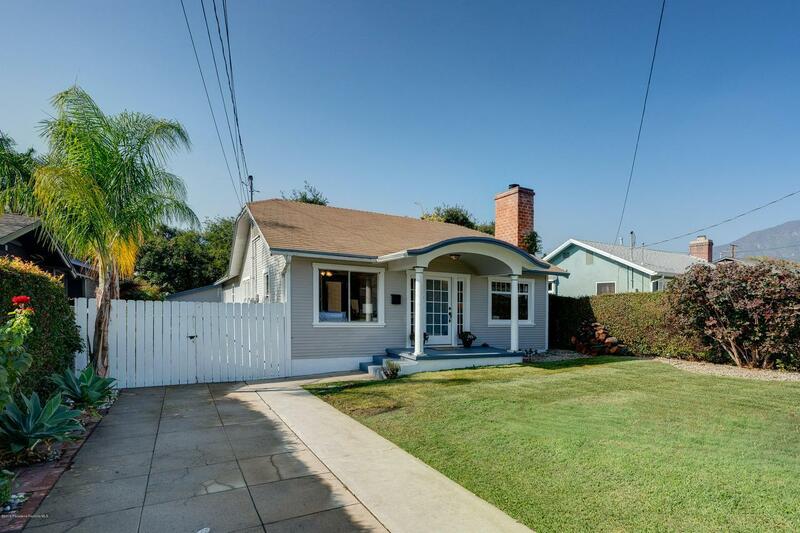 The front two bedrooms showcase hardwood floors and beautiful wood casing around the original windows. The master bedroom at the back of the house features new laminate wood flooring and has French doors which open to a lovely patio ideal for eating & entertaining with friends. The back patio overlooks the private grassy back yard and is a wonderful retreat. 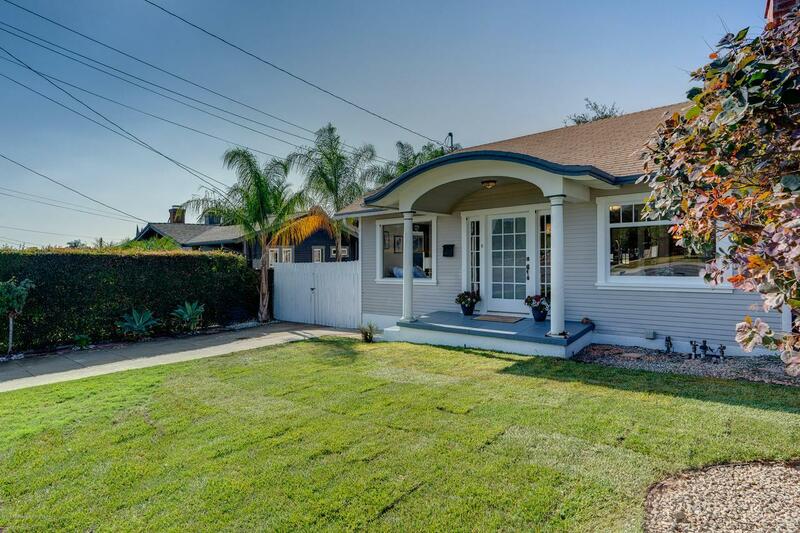 Additional attractive features of this home include the attic space measuring at 459 square feet which makes for a great play area or possible office space, a California basement measuring 137 square feet, a laundry room and an oversized 1 car garage. 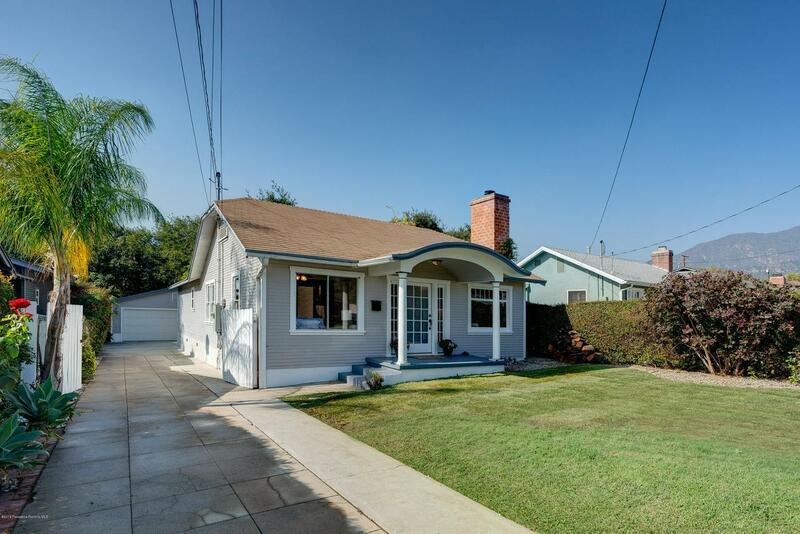 Don't miss the opportunity to call this home north of Foothill in Monrovia your very own. Sold by Dioni Rovello BRE#01787757 of Re/Max Premier Properties. Listing provided courtesy of Jason Berns DRE#01787757 of Keller Williams Realty and Laura Berns CA DRE# 01407023 of Keller Williams Realty.